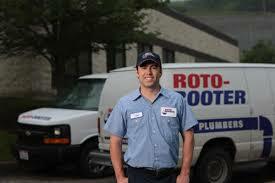 Roto-Rooter provides plumbing services for businesses anytime of the day. These services range from your everyday plumbing problems such as dripping faucets, clogged drains and toilets to sewer line maintenance and replacement. Roto-Rooter has the resources and a trained team of plumbers to provide commercial plumbing services to one location or many, within one area or across all of Ventura County in California. 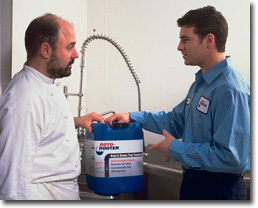 Whatever your commercial plumbing needs are, Roto-Rooter will customize a program that suits you and your business. Plumbing problems don’t wait for regular business hours. 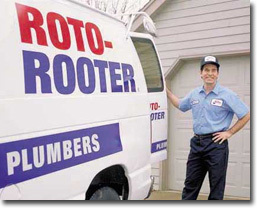 And Roto-Rooter specializes in emergency plumbing service. You can call on a Roto Rooter emergency plumber 24 hours per day, seven days per week. Your livelihood and that of your employees depends on your business functioning properly. Roto-Rooter understands you don’t need plumbing problems to put a damper on your business. We also understand that commercial plumbing is not your expertise. It’s ours! Call on us for regular plumbing service or for an emergency plumber. Contact Roto-Rooter Ventura County at (805) 620-3700 for all your plumbing needs.